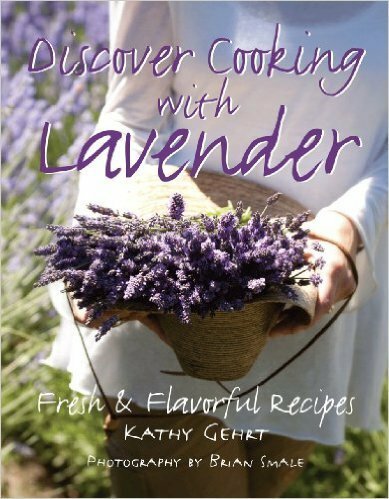 Whether you love to cook, enjoy experiencing new flavors or simply reading about unique culinary techniques, Kathy Gehrt's cookbook, Discover Cooking with Lavender, provides a sumptuous exploration into the world of lavender. Discover Cooking with Lavender offers readers 75 recipes for Sugars, Seasonings & Blends, Delectable Drinks, Savory Creations and Secret Sweets. 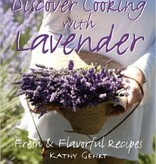 Filled with intriguing yet easy-to-follow recipes, such as Lavender Ginger Lemon Sugar, Bruschetta with Tomatoes and Roasted Lavender, Strawberries with Lavender Yogurt Cream and Honey Ginger Lavender Lemonade, Discover Cooking with Lavender is the ideal guide for an adventure with culinary lavender. Beautiful color photos capture the vivid colors and variety of flavors infused in every recipe. Discover Cooking with Lavender is the perfect cookbook for seasoned chefs, foodies, novice cooks, and lavender and gardening enthusiasts.